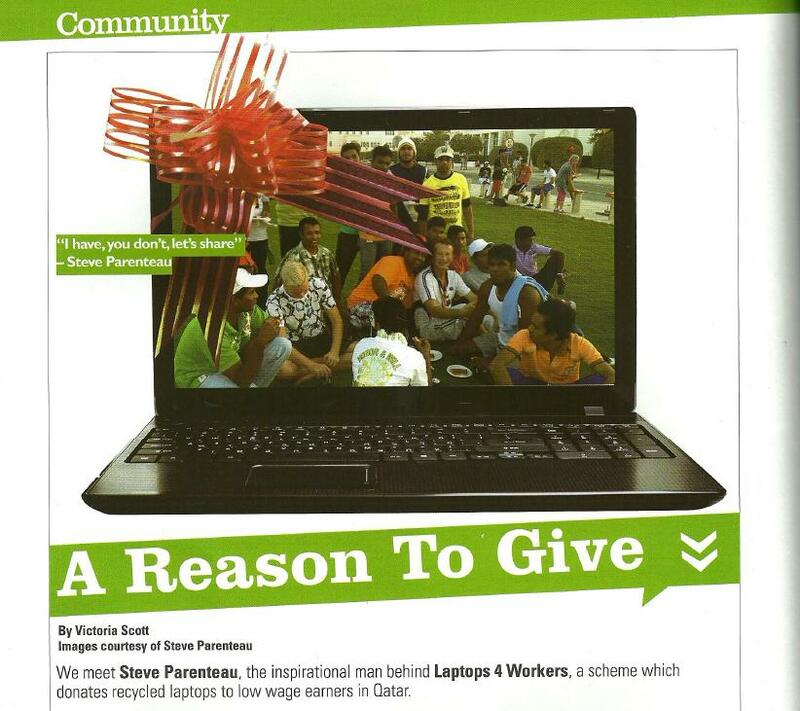 In this month’s Qatar Happening magazine, I interview teacher Steve Parenteau, whose brainchild, “Laptops 4 workers”, has blossomed into a large programme aimed at improving the quality of life of labourers in Qatar. I really enjoyed meeting him – he’s truly an inspirational man. Click here to read the story. 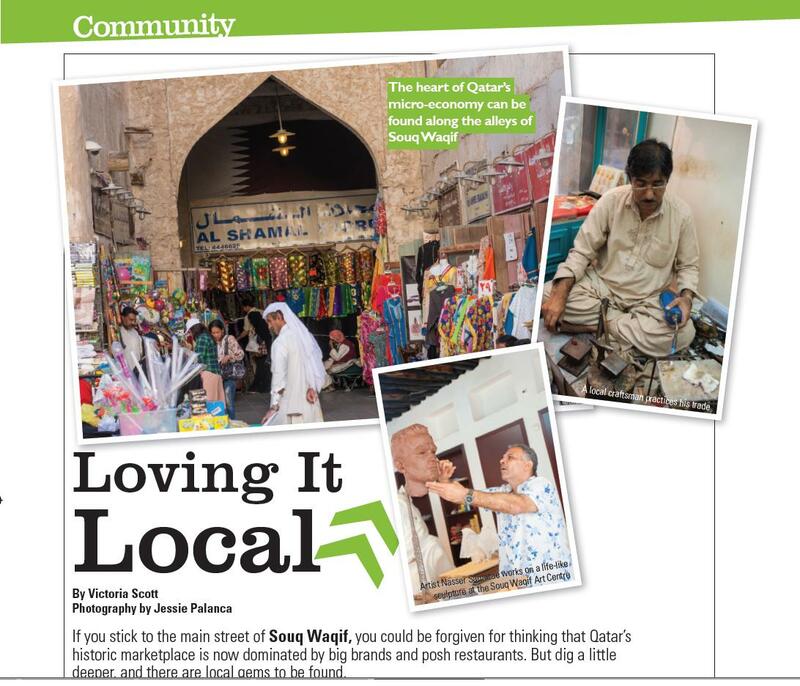 As part of Qatar Happening’s Going Local campaign, I was sent to search Souq Waqif for locally made goods. I was genuinely surprised by how much I found. Click here to read the article, which is in this month’s issue. Article shared with the permission of Qatar Happening magazine. 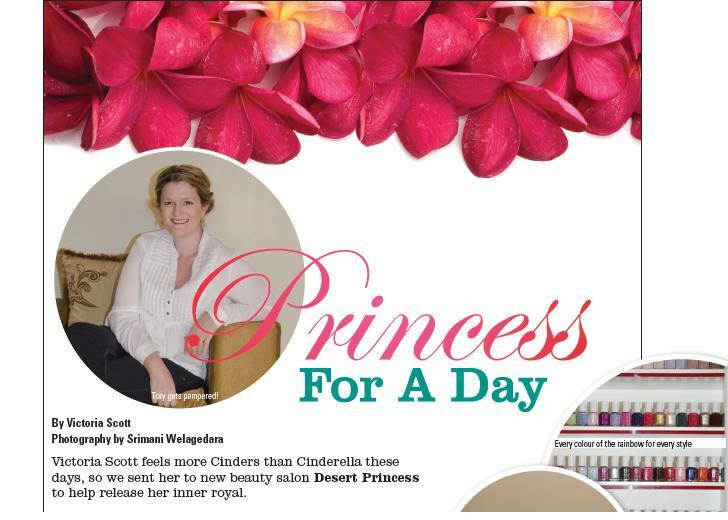 In this month’s edition of Qatar Happening, I visit new beauty salon Desert Princess for a bit of pampering. Not before time – my son’s knocking the stuffing of me ! Click here to read my review. 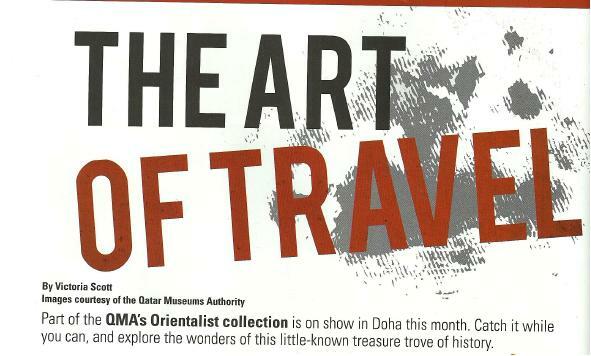 In this month’s Qatar Happening I preview the new exhibition at Al Riwaq, the QMA’s special exhibition hall. It’s a rare chance to see some of the Orientalist Museum’s collection, which spends most of its time in storage. Click here to read it. I’m continuing as a Daily Editor for Doha News, which keeps me on my news toes. Favourite stories I’ve written recently include this one about the impact of new safety regulations on nurseries (closures, crammed classrooms and closed play areas) and this one about a secondary school telling some of its students to study at home, as it hadn’t got space. I’ve also written a lead article for Texas A&M Qatar‘s magazine, two articles on kids in Qatar for Qatar Happening‘s special summer supplement, and written four reviews for the Explorer Guide to Qatar – on the Intercontinental The City’s Hive and Square, Grand Regency’s Flavours, and La Cigale’s Spa. I’ve also proof-read an architectural magazine, Coliseum. Luckily, I like to be kept out of mischief. 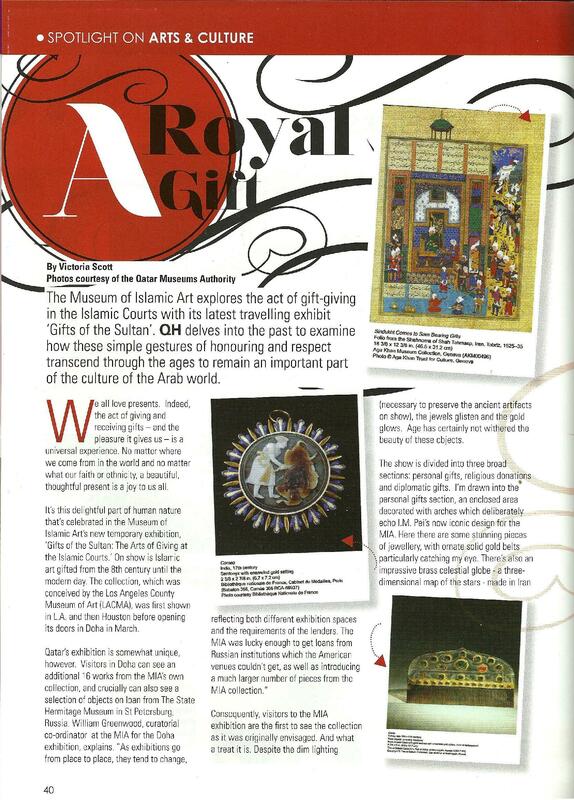 In the May edition of Qatar Happening, I review the excellent Gifts of the Sultan, a temporary exhibition at the Museum of Islamic Art. You can read the article here. 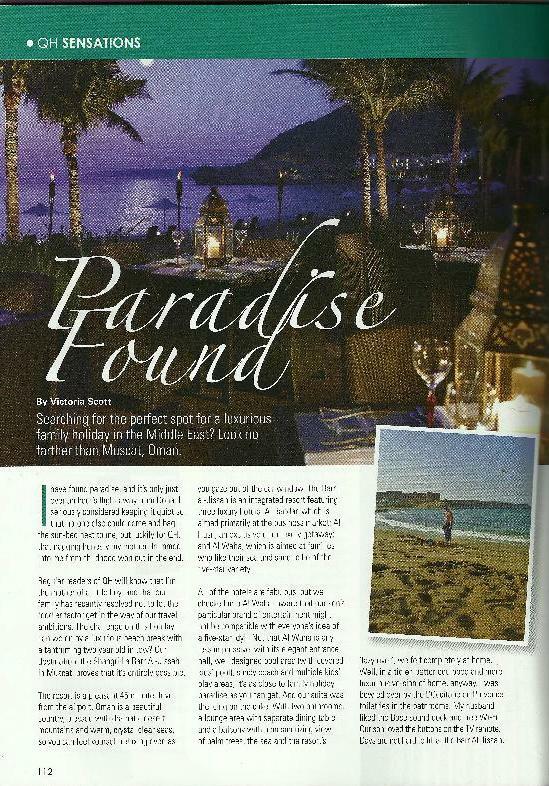 In the May 2012 edition of Qatar Happening, I review the Shangri-La Barr Al Jissah resort in Muscat. It’s lucky I came back to Qatar to write this, to be honest – my family almost moved in there for good. You can read the article here. 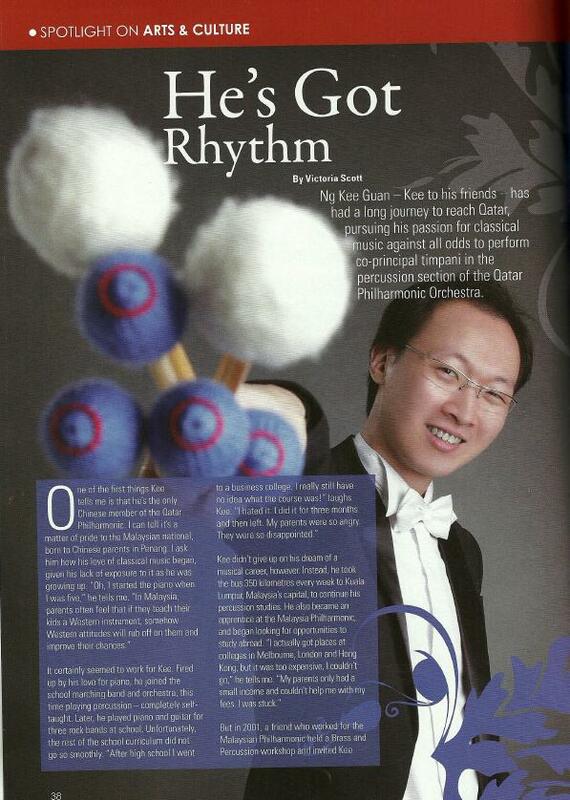 In this month’s Qatar Happening I speak to the Qatar Philharmonic’s Percussion Co-Principal, Ng Kee Guan about his journey from Penang to Doha. Click here to read the article. 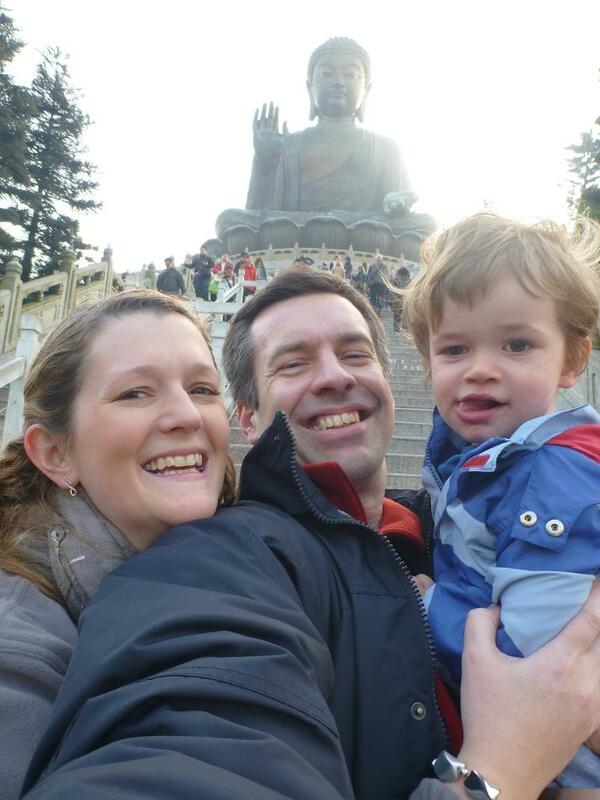 In this month’s Qatar Happening, I write about my recent trip to Hong Kong – with toddler in tow. Crazy? Perhaps. Fun? Absolutely. Click here to read the article. 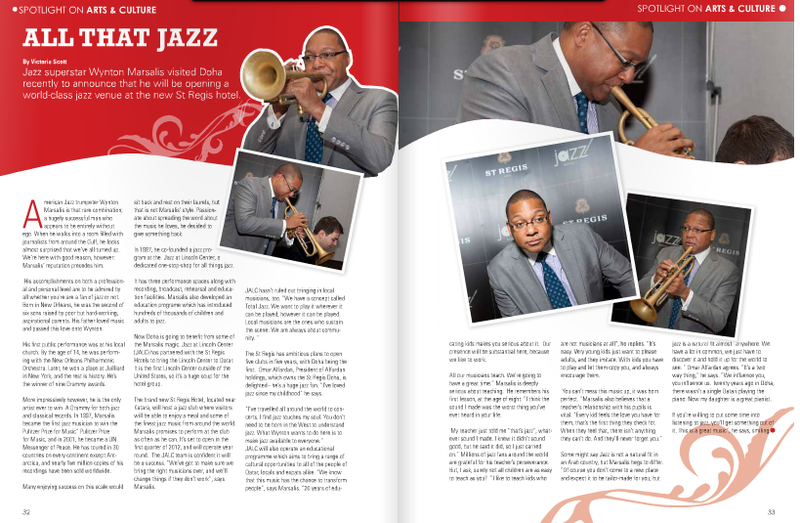 In this month’s Qatar Happening, I meet Jazz legend Wynton Marsalis, who’s opening a jazz club here in Doha. Click here to read the article.